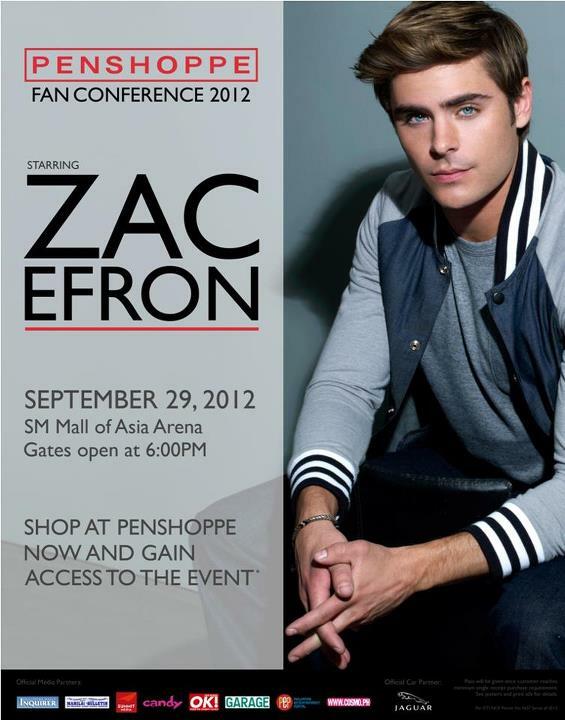 Zac Efron Penshoppe Fan Conference – September 29 2012! Hollywood superstar Zac Efron will be meeting his Filipino fans in an exclusive event to be held in SM Mall of Asia Arena on September 29. Labeled by organizer Penshoppe as a “fan conference,” Efron will be formally introduced as the newest addition to the clothing line’s growing list of international endorsers during the event. Efron’s Filipino fans will have the chance to see their idol in person by joining a special promo by Penshoppe. Keep in mind that the promo will only run till September 23 or until passes last. Gates will open at 6PM. I came out last week with an investigative article on Rico E. Puno, President Benigno Aquino III’s shooting buddy and outgoing interior and local government undersecretary. The piece, which I originally submitted to Vera Files, has now appeared in four other media outlets – ABS-CBN News, Malaya, Manila Times, and Yahoo! News Philippines. Puno’s resignation was announced shortly before this report was released. A string of disconcerting facts appeared shortly after Robredo was laid to rest. It turns out that ABS-CBN’s report that Puno and a group of police officers tried to “raid” the late secretary’s condominium unit in Quezon City is just the tip of the iceberg. Puno justified his actions by saying that he merely tried to “secure” sensitive documents there, adding that he is under instructions from Aquino to do it (the president did his part by corroborating his friend’s tale). One of these sensitive documents is a classified August 8, 2012 memorandum addressed to Robredo which details the anomalous bid of the PNP to purchase 60,000 additional handguns. The entire initiative will cost about P1 billion. 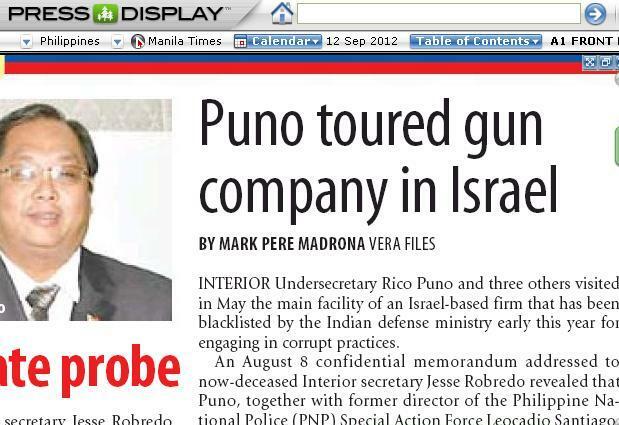 In page 14 of the 16-page memo, it is mentioned that Puno and three other individuals went to Israel to visit the facilities of the state-owned Israel Military Industries (IMI) – upon the company’s invitation. 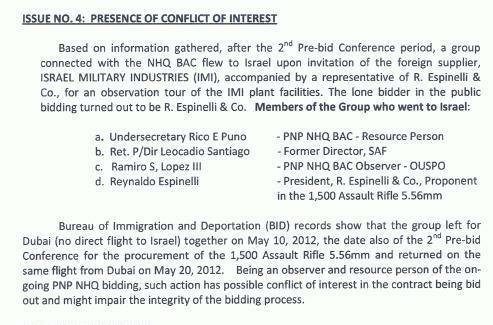 The trip happened on the same day that PNP held a pre-bidding conference for companies interested to take part in the arms procurement initiative. 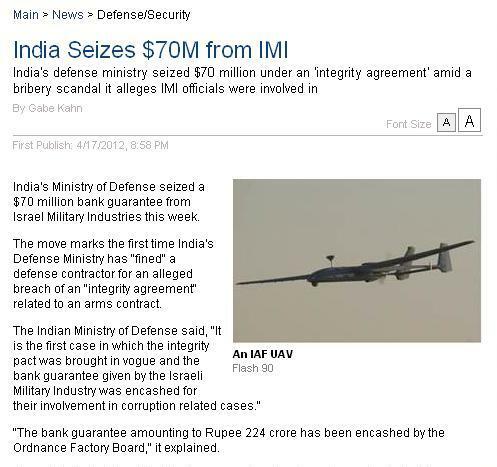 IMI is formerly affiliated with the Israel Weapons Industries (IWI), one of the participants in the aforementioned bidding. Puno and two of his companions are part of the bids and awards committee for this project, the August 8 memo added. Puno’s other travel buddy is Reynaldo Espineli, president of R. Espineli & Co., IWI’s local partner in the bidding. This is when the story becomes more interesting. 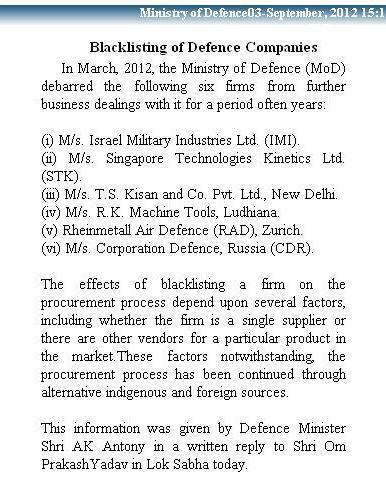 IMI, the company that invited Puno and his peers to Israel, has been blacklisted from doing business with the Indian Defense Ministry for engaging in corrupt practices. The ban, as reported by wire agency United Press International, will last until year 2022. Isn’t it astounding to know that a high ranking Philippine government official would like to be associated with a company with this background? No one has publicly refuted my report a week after it appeared. How can the article be refuted? IMI’s dubious background has been reported by foreign news outlets and by India’s Press Information Bureau. In a report by radio station DZMM, Puno admitted that he went to Israel but only for a religious family vacation. He added that he visited the firing range of IWI in Tel Aviv, Israel. Coincidentally, IWI was declared by the PNP bids and awards committee as the lowest bidder among the seven companies that took part in the in the aforementioned process. The deal with IWI did not materialize after the company failed to submit certain documentary requirements. The more important task for Puno is to belie what the August 8 DILG memo says about his actions. Senator Miriam Defensor-Santiago conducted an inquiry on the matter last Friday, and predictably, one of the focal points of discussions there is Puno’s travel to Israel last May. According to him, he and his family went to Jerusalem for a vacation (Robredo approved his leave, he said), adding that he shouldered his travel expenses. Puno went on to claim that he only met Leocadio Santiago, former head of PNP’s special action force, in an Israeli airport. After that, Puno and Santiago did some target shooting in a facility owned by IMI. Eventually, an exasperated Santiago exclaimed: “I don’t get the logic of what he was trying to say.” Sensing the futility of further investigating the matter, the House of Representatives has scrapped its plan to conduct a separate inquiry about Puno. According to news reports, Puno answered Santiago in a “cool” manner. Why not when he knows that President Aquino is there to back him up? 1. Where is Puno’s proof that he is indeed on a vacation leave during the said time period? 2. If Puno indeed traveled to Israel with his family, can he show proof that he was truly with his family during the trip? 3. Can the Bureau of Immigration (or other concerned government agencies) show evidence that Puno and the three men mentioned as his travel companions to Israel went to the said country SEPARATELY? 4. Is the Philippine embassy in Israel not aware of the presence of a high-level official from their home country there during the said days? 5. Is Puno not aware of the IMI’s corruption-laden track record in India?